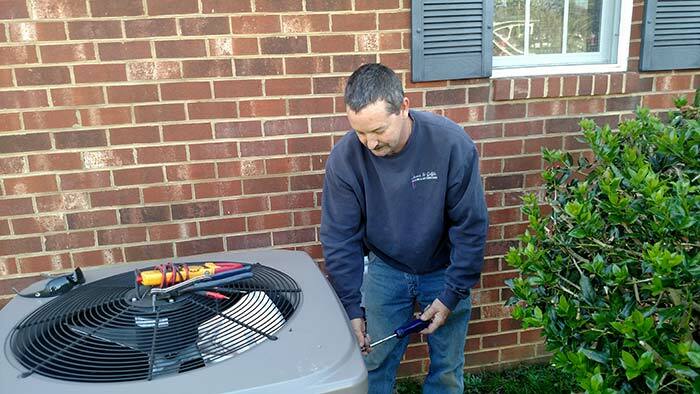 Acors & Griffith performs services for furnaces, air conditioners and heat pumps in the Midlothian, Bon Air, Salisbury, Reed's Landing, Chester, North Chesterfield, South Chesterfield and Colonial Heights and the surrounding counties of Powhatan and Amelia every day. We perform furnace, air conditioning, and heat pump service, preventative maintenance or installs. We're ready to visit you! Acors & Griffith, Inc. Heating & Air Conditioning is proud to offer you the most cost-effective HVAC repairs and installations. Contact us to come and check out your system to ensure it is working properly. Ask about one of our Service Contract Plans.